Move One Matchstick to get the biggest number possible! 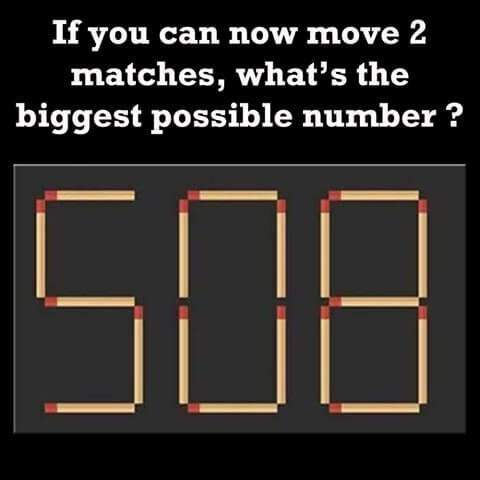 Move the top and bottom matches from the zero and place in front of the 5, it now reads 115118. Nope. The riddle requires to move only two match sticks.